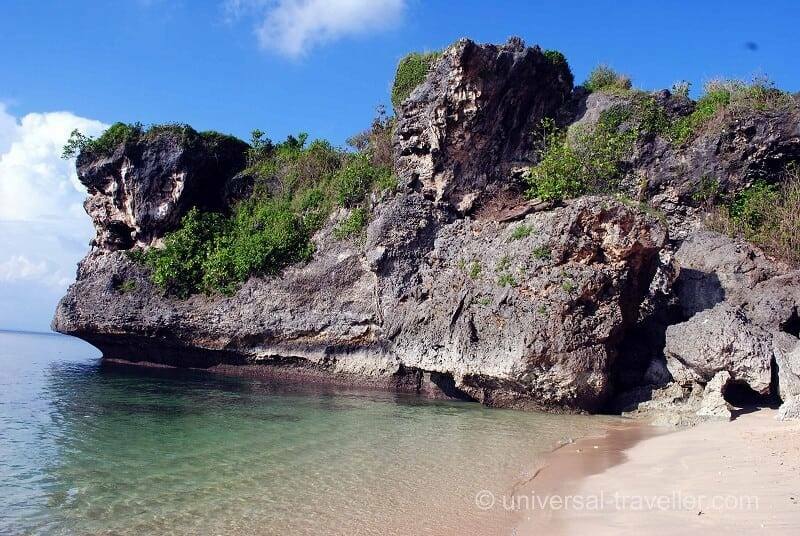 Beautiful white sandy beaches with high cliffs and turquoise blue water. A temple with a fascinating view and lots of monkeys. This weekend I did a tour with the scooter to Bali’s southern peninsula. It is early in the morning when I start with three friends my first big trip on Bali. From my Hotel in Denpasar I take the Sunset Road down to Jimbaran. It is a small fishing village with some tourist resorts and a nice beach. After about one hour on the scooter I really enjoy jumping into the water. From Jimbaran I take a small road that winds along the coast. The traffic is more relaxed than in the city and the airstream is cooling. At the end of the street I find a very nice, secluded beach. It is surrounded by high cliffs and the water is turquoise blue. It is the first highlight on my tour. 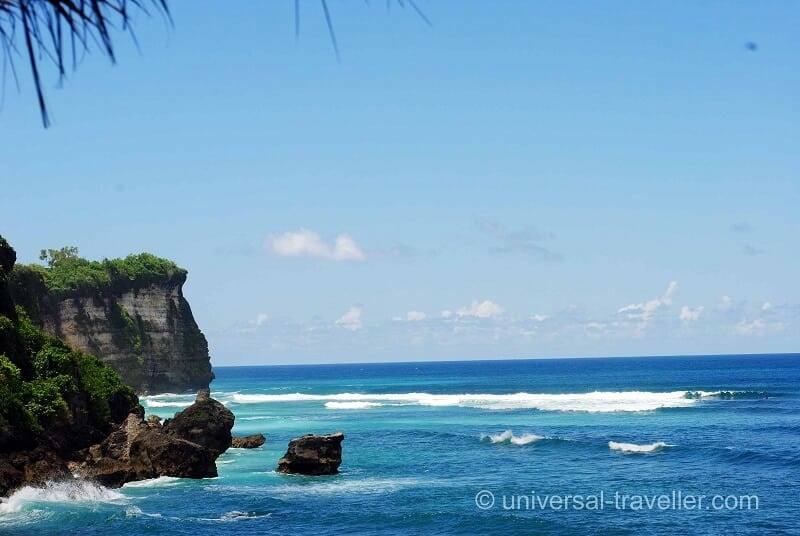 Balangan is one of the most beautiful beaches of Bali. It is well known and visited by surfers from all over the World. The long stretch of white sand is flanked by rocky cliffs and there are some nice places to eat traditional food or have a cold drink. It is already late in the afternoon and I decide to stay one night here. On the beach there are a few very laid-back warungs which cost about 50.000 Rupiah per night. I decide to rent a four person bungalow together with three friends for 450.000 Indonesian Rupiah (about 35 Euros) . At the end of the day I enjoy the beautiful sunset. Dreamland beach is a very touristic place. 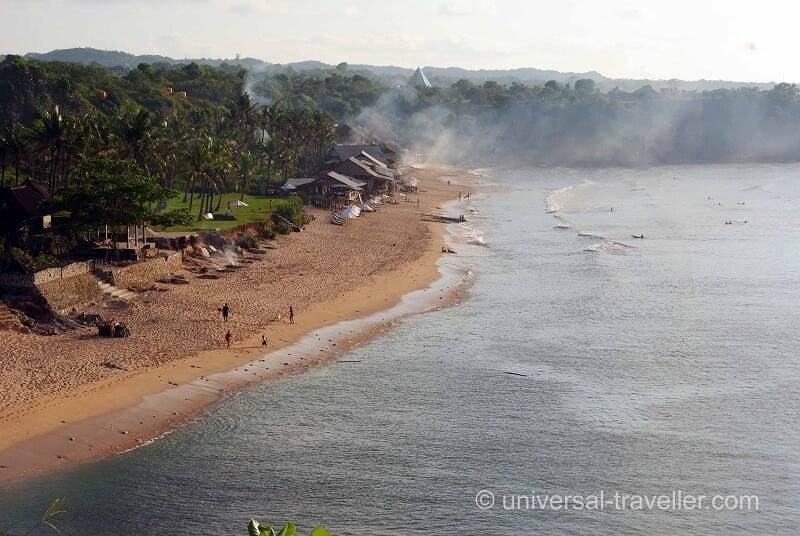 Instead of old and simple warungs like at Balangan beach, there is a big hotel complex and several leisure facilities. 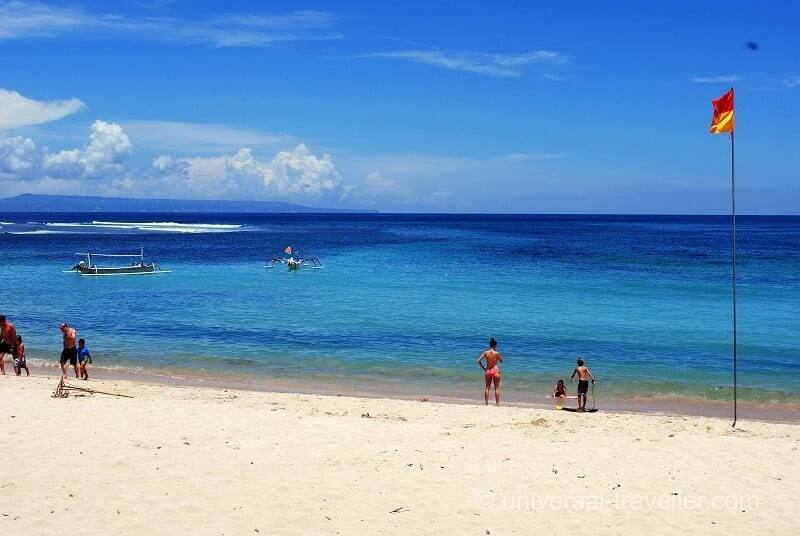 On the other hand, the beach convinces with white sand and it is a good place for swimming. To get to the beach you have to go down some steep steps. When I arrived there it was currently tide wherefore the beach was sadly flooded. However the spectacular view could definitly compensate it. 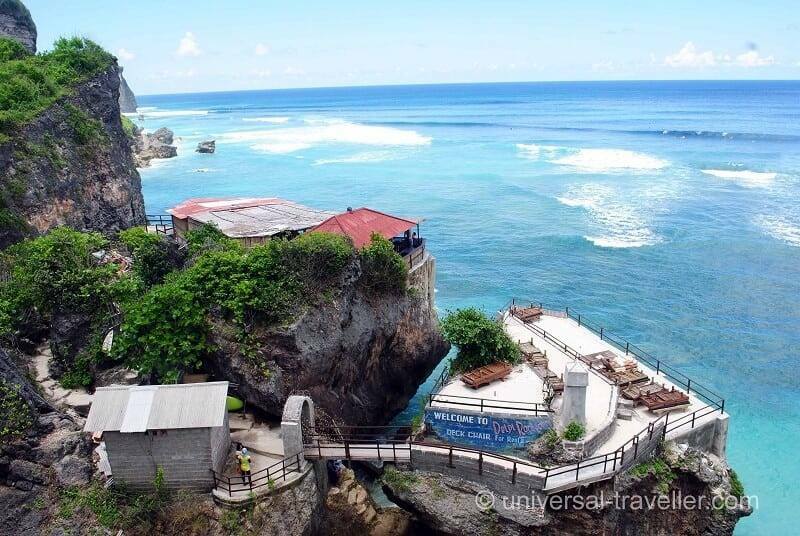 Close to the beach there is the Uluwatu temple. The entrance fee is 20.000 Indonesian Rupiah (about 1.5 €) and you need to be properly dressed to enter. The temple is inhabited by a large number of monkeys who are extremely adept at snatching visitors’ belongings. The view from the temple is really fascinating whereas the temple itself is not that impressive. The last beach on my trip is in Nusa Dua. It is a white sandy beach that stretches for many kilometers. I go swimming and relax for a few hours before I head back home to my hotel in Denpasar. 1. 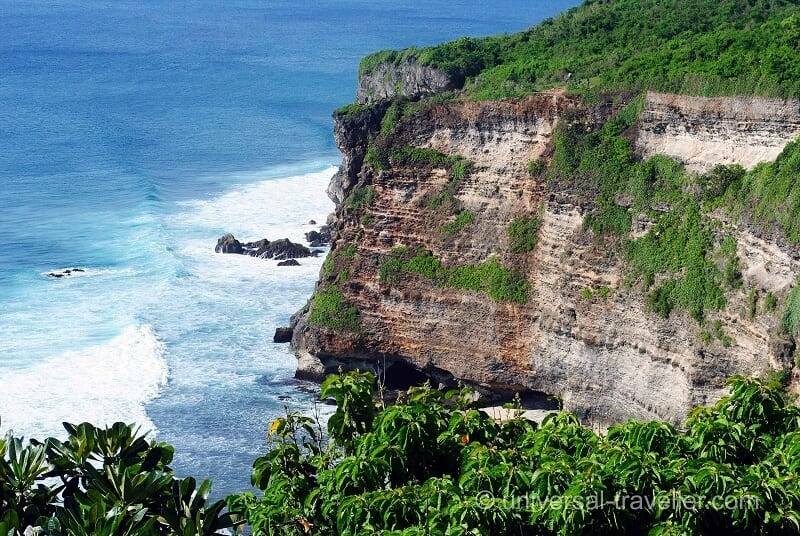 Things to do in Nusa Penida – Get an idea of how Bali probably looked like 40 years ago. 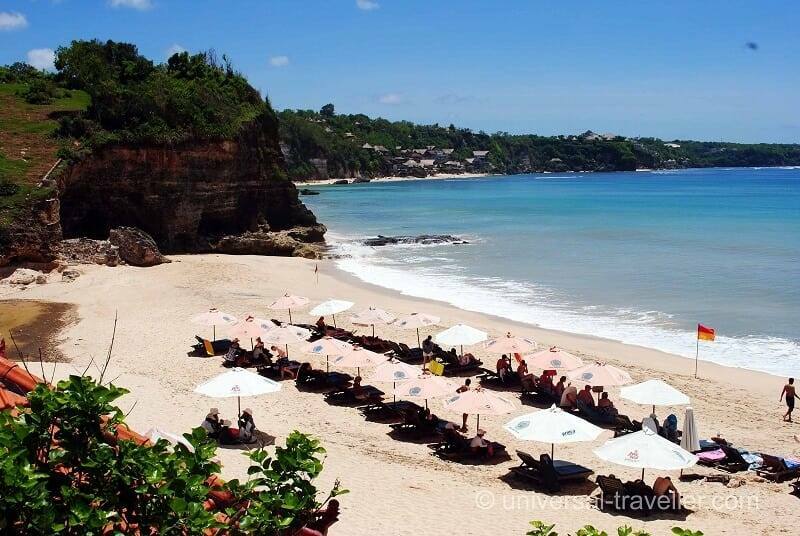 Talk about Bali is talk about the best beaches around the world. The Island of the Gods offer you the best beaches for rest, snorkeling and diving, and of course for surfing. 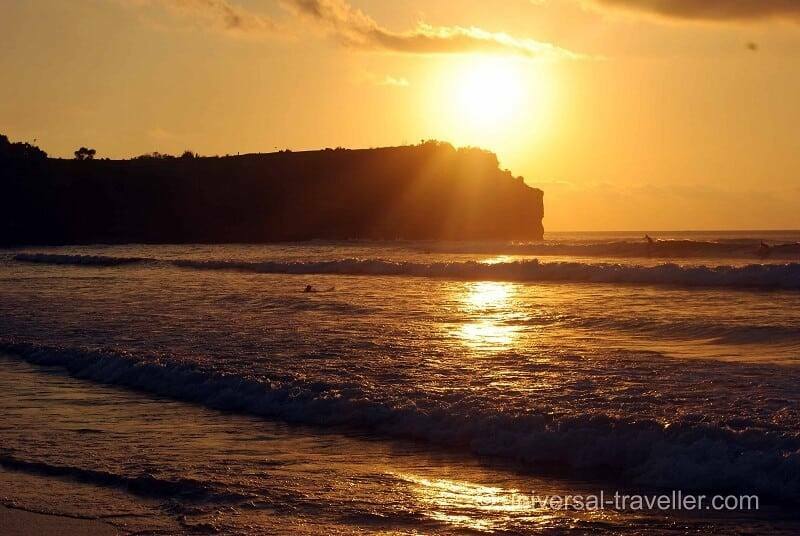 One of the best surfing beaches around the world is Uluwatu and also Padang Padang.